A contract is a legally binding agreement between two or more parties. Contracts are voluntarily agreed upon by the parties who are included in the agreement, just like the concept of free contract. 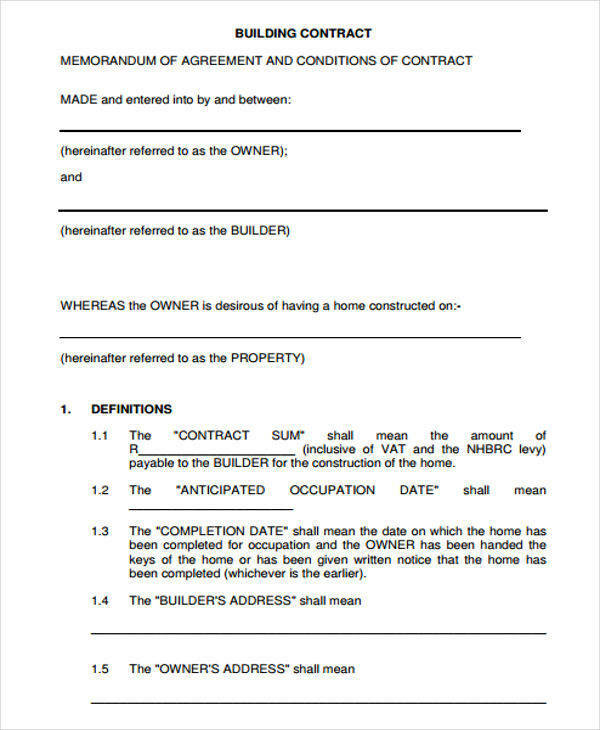 A construction contract is also a legally binding agreement whose conditions are recorded in a document. 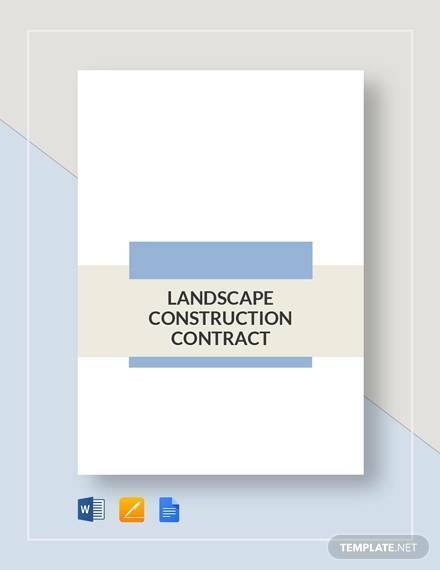 A construction contract is used to make arrangements for specific construction developments. 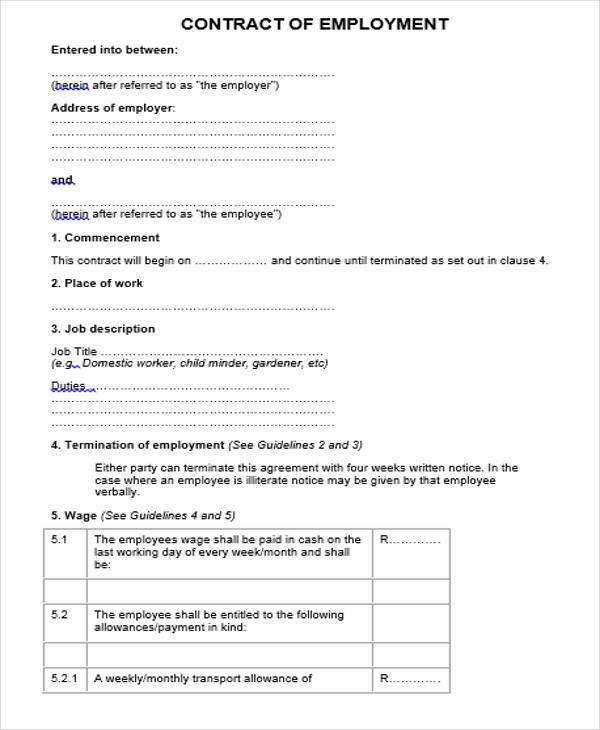 There are types of contracts that you can also use to have an effective contract. Having sample templates readily available is a good thing. You can download these templates online. You may also use these samples as reference if you want to make your own. 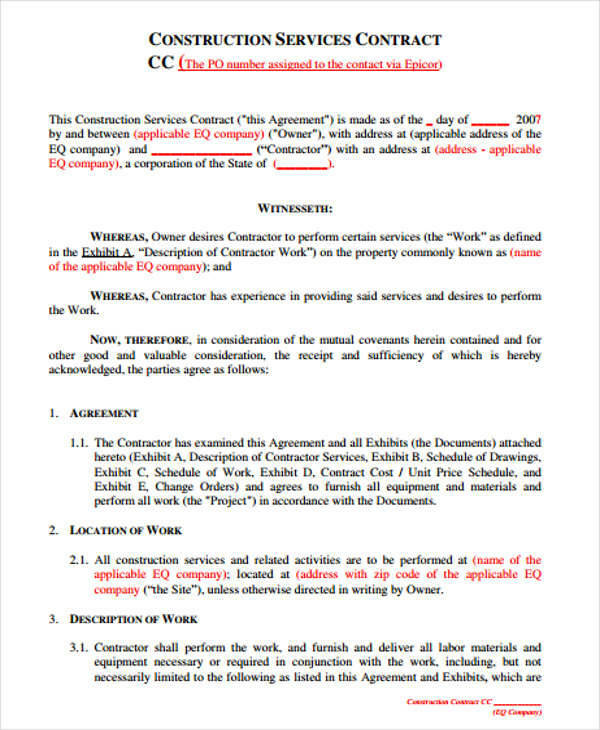 What Is the Agreement in a Contract? What is an agreement? An agreement is a mutual understanding between two or more parties. Not all agreements are legally binding. Agreements can be done when a group of friends decide to meet on a certain day at a certain time and place. It can also be an agreement to talk about business and other stuff in a designated place. These types of agreements are usually verbally done and agreed upon. There is no assurance that all parties will comply. Each one will just hold each other’s promise. An agreement in a contract is where things get legally binding. When an agreement is stipulated or included in a contract, it becomes legal. It will then become part of a document that is signed by two or more parties who voluntarily agreed to the contract. An agreement in a contract should be taken seriously, and everyone is expected to comply with terms and conditions that are outlined in it. If in the event that one of the included parties fail to comply, then they should expect consequences. Some of the consequences may be having to pay for fees, charges, or even lawsuits. 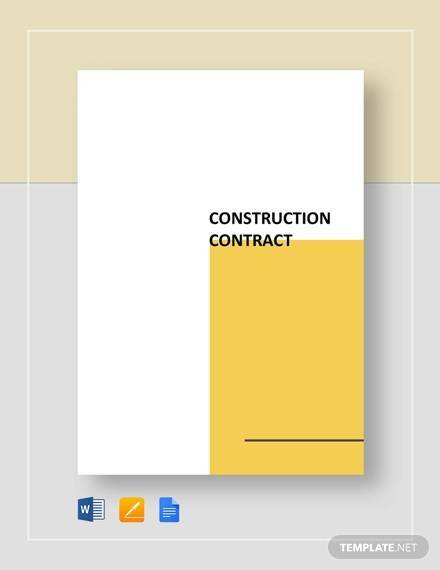 You may also find Construction Contract Agreements useful. 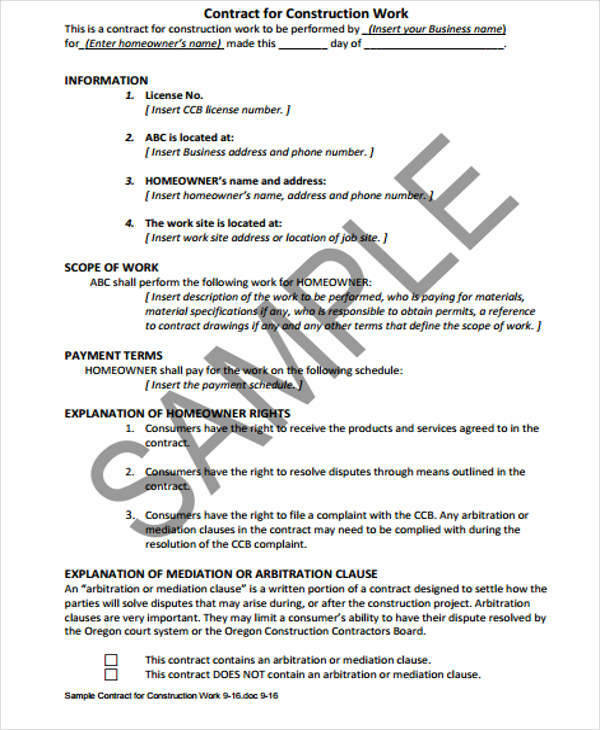 A lump sum contract is just one of the five types of construction contracts. 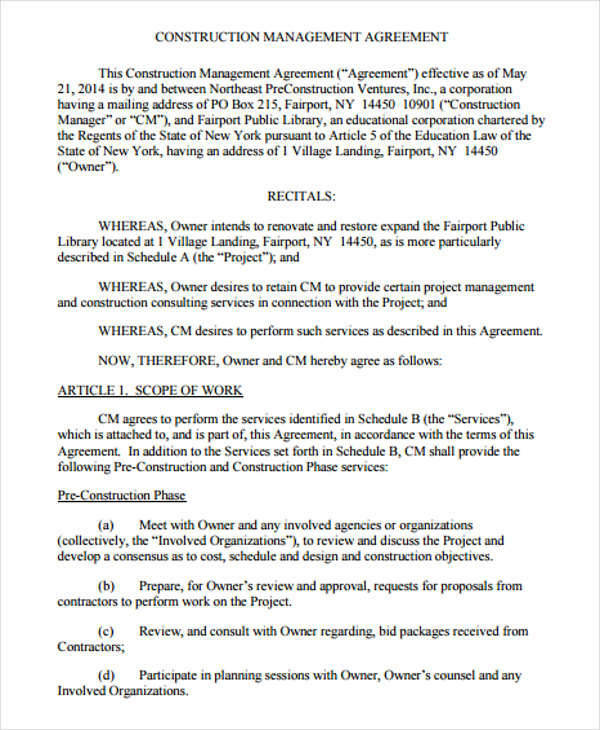 In a lump sum contract, the full amount of all the construction-related activities is fixed. The owner agrees to pay a lump sum of a specific amount without doing any breakdown. The lump sum is paid after the completion of the entire work. 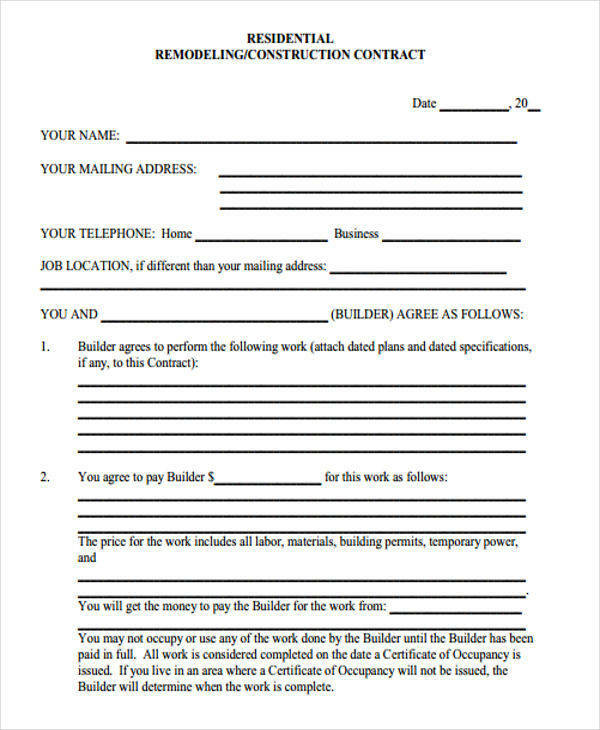 This type of contract is ideal when the project has a well-defined scope and schedule. It’s also called a fixed price contract. You can also check Construction Invoices. 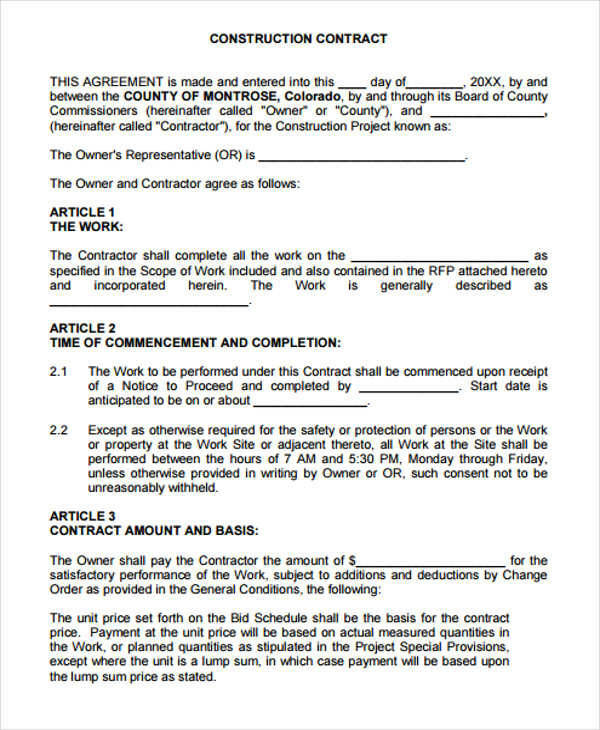 Aside from a lump sum contract, there are four other types of construction contracts and they will each be discussed below. A lump sum and scheduled contract is a lump sum contract that provides a breakdown for the expenses of a project. 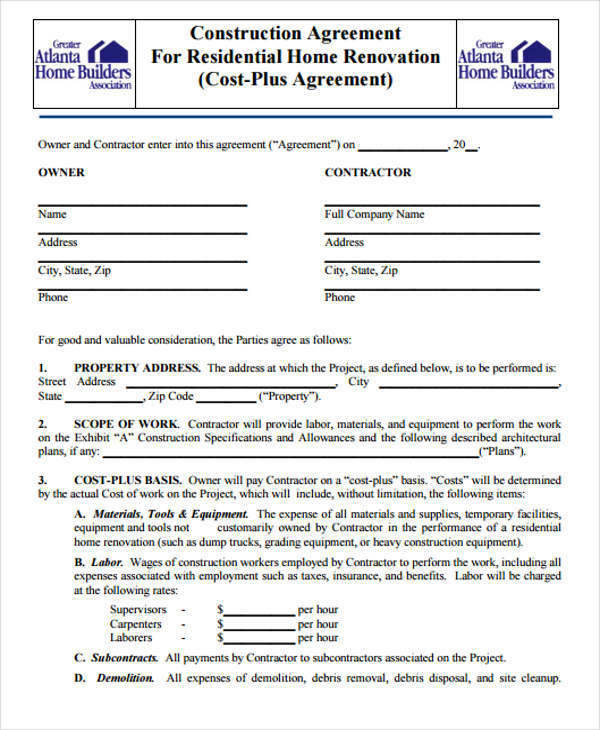 A cost plus contract is a type of construction contract where the actual cost of the expenses is paid. Unit pricing contract is the type that is commonly used by builders and federal agencies. In this contract, the unit price depends on the scope changes, which makes it easy for both owner and builder to reach an agreement. A special contract means that a contract is made explicit and also has clearly defined terms in it.